A Sermon, Delivered at the Consecration to the Episcopacy of the Right Rev. Wm. Meade, D.D. 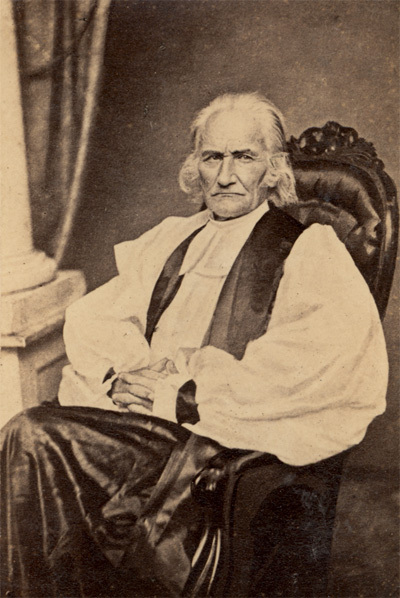 Assistant Bishop of the Protestant Episcopal Church in the State of Virginia; in St. James' Church, in the City of Philadelphia, on the 19th Day of August, 1829. New-York: Printed at the Protestant Episcopal Press, 1829. Sermon Preached at the Opening of the General Convention of the Protestant Episcopal Church, in Philadelphia, September 5, 1838. A Brief Review of the Episcopal Church in Virginia, from Its First Establishment to the Present Time: Being Part of an Address to the Convention of the Church, in Fredericksburg, May 22nd, 1845. Statement of Bishop Meade, in Reply to Some Parts of Bishop Onderdonk's Statement of Facts and Circumstances Connected with His Trial. New York: Stanford and Swords, 1845. Philadelphia: George S. Appleton, 1845. Pastoral Letter of Bishop Meade to the Congregations of the Protestant Episcopal Church of Virginia. Richmond: H. K. Ellyson, 1847. Rightly Dividing the Word of Truth: A Charge to the Clergy of the Protestant Episcopal Church in the Diocese of Virginia. Richmond: H. K. Ellyson, 1848. The True Churchman: An Address of the Rt. Rev. William Meade, to the Convention of the Protestant Episcopal Church of Virginia. Assembled in Staunton, May 21st, 1851. Pastoral Letter on Schools and Teachers, by the Right Reverend William Meade, D.D., to the Ministers and Members of the Diocese of Virginia. Washington: G. S. Gideon, Printer, 1858.